The Hundred Days’ Reform was so-called because it was an ambitious re-tooling of Chinese government policy but was snuffed out in only one hundred days. 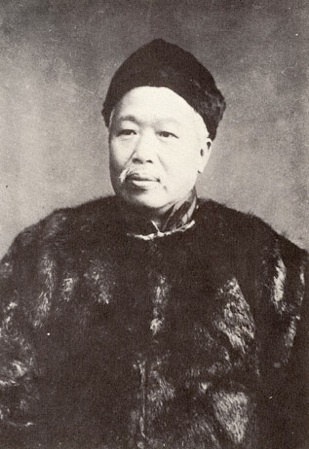 The reform was instigated by the GuangXu Emperor, Empress Cixi’s nephew, based on the advice of scholars such as Kang Youwei. — Change the government from absolute monarchy to constitutional monarchy with democracy. — Apply principles of capitalism to strengthen the economy. — Completely change the military buildup to strengthen the military. — Rapidly industrialize all of China through manufacturing, commerce, and capitalism. 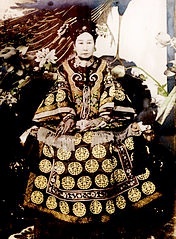 The Empress Cixi had the Emperor, her own nephew, captured and put under house arrest until his death. She stayed in power until her death in 1908. This entry was posted in Chinese History by admin. Bookmark the permalink.